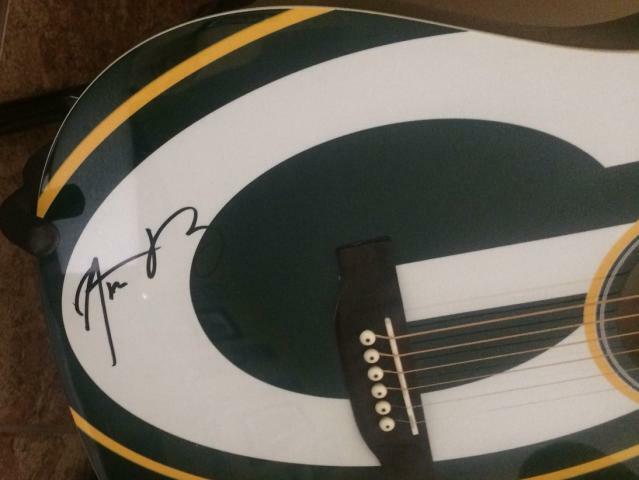 This is definitely one of the most unique pieces of signed memorabilia ever to appear on BigTimeFootballs. 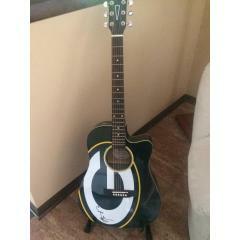 Here is a professionally crafted 41″ acoustic guitar autographed by Green Bay Packers QB Aaron Rodgers. This guitar features a dreadnaught cutaway basswood body with a spruce top; catalpa neck; rosewood fretboard and bridge; die cast tuning machines; modified V neck; and exclusive Woodrow Guitar designed headstock with 20 frets, bridge and end pins – white with black dots, set neck, Woodrow Guitar designed rosette, scale length – 24.9″, width at nut – 1.75″, width at 12th fret – 2.25″, fretboard position inlays and pick guard. 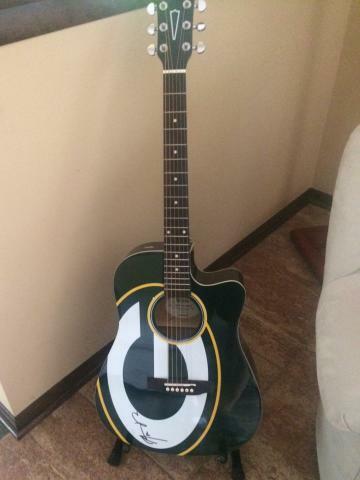 The body of this handcrafted guitar features the licensed logo of the Green Bay Packers and Fanatics authenticated autograph of Aaron Rodgers. Due to the very rare nature of this item we must charge your credit card for the full price immediately upon taking your order. This policy ensures we reserve the signed guitar for you. We will confirm your order by Email. This item is in stock and ready for shipping.